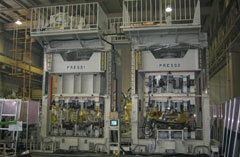 Kyoei Engineering, which has experienced engineers, is a total digital engineering company capable of providing an integrated system which includes manufacturing system planning, designing, fabrication, and quality assurance, as we have considerable experience in manufacturing automatic automobile and industrial production machinery using 3D IT tools. We also have sufficient experience and an excellent track record in manufacturing assembling fixtures and stamping dies for aircraft components. 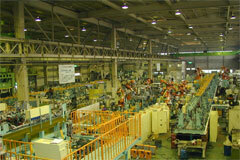 ■ Company Name ： Kyoei Engineering Co., Ltd.